Macarthur Park Wedding Chapel has been lovingly restored and is set amongst beautiful gardens and natural Australian bushland. 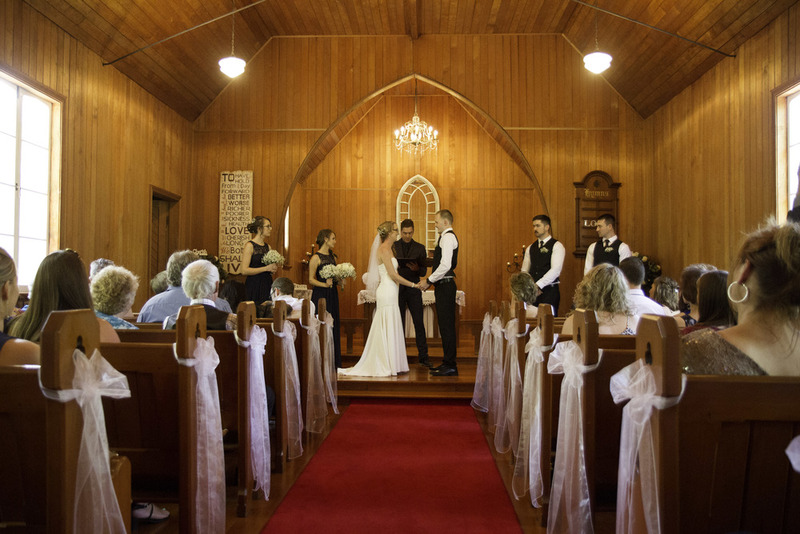 This 90 year old non-denominational, air conditioned Chapel provides a beautiful setting for weddings with the ambience of an authentic country chapel from yesteryear. The outdoor garden weddings are held on the Pier and decked area overlooking the lagoon covered with water lilies and featuring a large fountain. Various gum trees including Paperbarks line the perimeter of the lagoon providing the perfect scenic backdrop for your open air wedding. 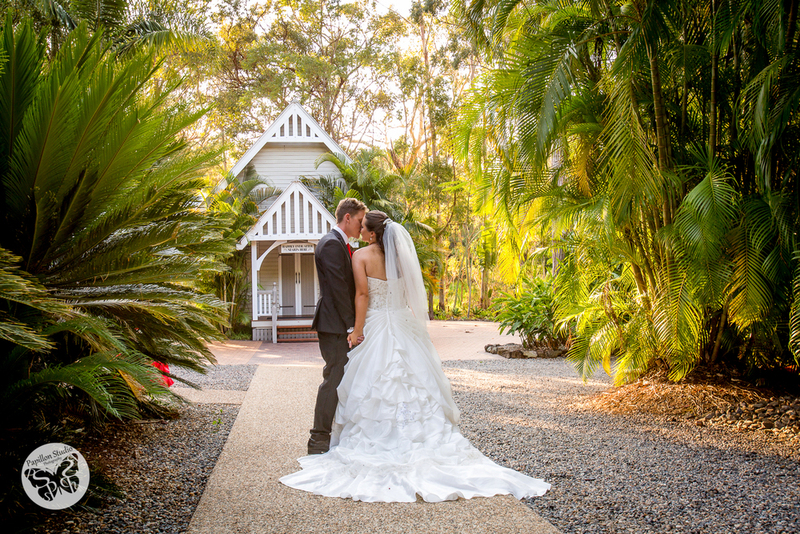 Described as simply outstanding, Macarthur Park Wedding Chapel & Gardens is located one street off Finucane Road at 21/29 Macarthur Street, Alexandra Hills. 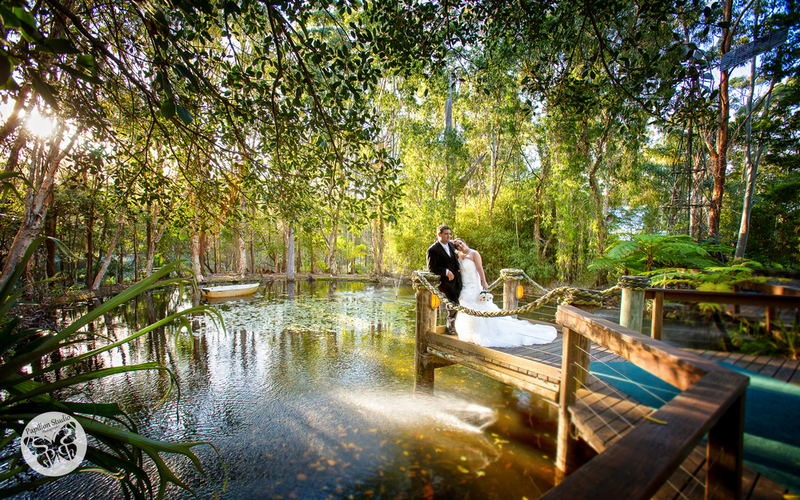 The very unique private and secluded Australian themed gardens are set on four acres and provide a relaxed and tranquil ambience for your wedding.